Road safety education campaigns are most effective when combined with their engineering and enforcement counterparts. The project engineer responsible for road layout changes should keep their Road Safety Officer (RSO) colleagues informed but, ideally, involve them at the design and road safety audit stages. Police cooperation may also valuable. A publicity campaign can explain engineering changes to a road layout, the reasons for these and can be backed up by enforcement when necessary. It is recommended that education and publicity budgets are included in scheme costs. If there is a specific problem within the boundaries of the authority which is not peculiar to any one site or group of sites, then a local campaign, carefully targeted to address the root cause of the problem, is worth serious consideration. Liaison with neighbouring authorities and police forces may highlight a ‘shared’ problem which no individual body can overcome in isolation. Co-operation with neighbouring authorities is then cost effective and facilitates publicity both where riders live and at the location of concern. Riders often travel some distance from their homes to favoured riding areas but are most likely to be reached by campaigns close to their homes. At a regional level, it is recommended that the ‘higher risk’ groups are targeted, including sports bike riders and urban commuters. Again, this requires analysis of the factors that lead to collisions and the implementation of measures designed to address them. Best practice involves a combination of educational and psychological measures designed to influence rider attitude and behaviour, provide appropriate needs-based training and implement consistent and supportive enforcement. Central and local government have forged excellent links with the motorcycle manufacturer/retail associations and key rider and training groups to share knowledge and coordinate activities. For example, an ‘edutainment’ rider safety DVD “A street, a track, an open road” was produced with the Motorcycle Industry Association (MCIA). Road Safety GB is the main ‘clearing house’ for local authority educational and publicity measures and it is recommended that the appropriate Road Safety GB adviser be consulted before initiating any new measures. Obviously, collaboration between all interested parties is essential to attain cohesive and effective approaches and to avoid duplication. The Road Safety GB web site includes examples of previous schemes. The Road Safety Knowledge Centre, which has been developed by Road Safety GB with funding from the DfT, is a web-based library of road safety related information and expertise and is available free of charge to subscribers. The Road Safety Observatory provides access to independent road safety research and information for those working in road safety and the public. 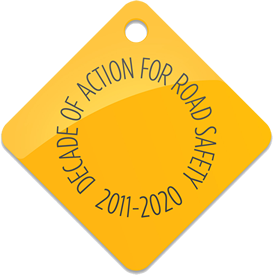 The programme, which provides access to research on a range of road safety issues, is run by a board of UK road safety organisations and the Department for Transport.